Continuing Education for Massage Therapists. Advanced Massage Training. 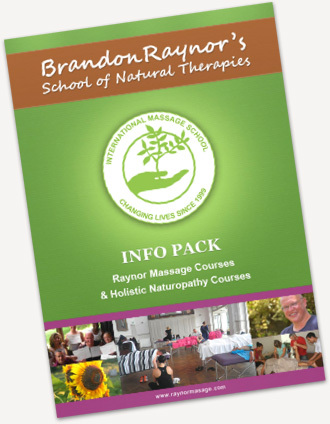 Our Raynor Massage Diploma and Advanced Courses are geared for serious massage practitioners who are dedicated to having a rewarding career in healthcare. Too often devoted massage therapists struggle to generate new clientèle or retain existing client satisfaction due to boredom, ineffectiveness or practitioner burnout. Our continued education meets the growing demands for effective, competent and improved massage therapists. In just two short weeks you can learn the skills and techniques to generate more business and improve the quality of your massages. Beyond pampering—offer your clients a transformative massage modality. The massage industry is saturated with massages designed to pamper clients, however, there is a serious demand for massage practitioners who are able to get rid of deep seated tension and provide relief to pre-existing depleting health conditions. In our Raynor Massage Courses you will learn a style of deep tissue massage and be able to identify and find residual tension—by first accessing it from its anchor points and then loosening the rest of the body through bands of tension or meridians. Learn new and effective techniques and skills. Raynor Massage is comprised of ideas and philosophies from different massage modalities throughout the world, along with its own set of unique massage techniques. It emphasizes the importance of hand and foot massage, similar to but more in depth than reflexology, along with joint mobilization. You will also learn abdominal massage and understand the connection between physical tension and deep-seated emotions held within the abdomen. As a massage therapist, one of your greatest assets is the health and upkeep of your body. In our courses, you will learn proper body mechanics, powerful techniques to help the client without putting undue strain on your body, and the proper use of massage tools on detailed areas of the body such as the hands and feet. You will also learn how to walk on the hands and feet with your own feet. Massage in a holistic manner. Understand how physical, emotional, mental and spiritual imbalances can manifest as stress or physical tension in the body. This can lead to fatigue, poor mobility, aches and pains, and other treatable ailments. By accessing the physical tension held within the body, it can provide relief and restore balance in the body, mind, and spirit. Learn to diagnosis properly and develop a treatment strategy. Some of the most common ailments seen by massage therapists are back aches, sciatica, headaches and frozen shoulders. It is a common misconception that if a client has lower back pain to focus on massaging the back. In our course you will learn about bands or meridians in the body that hold tension within the body and how one part of that band can have an effect either further up or down the band. These bands are originate in the hands and feet and have a tremendous impact on the rest of the body. Therefore, someone experiencing lower back pain will most likely have tension originating in their legs and feet that is aggravating the back and must be loosened from is its source. Incorporate elements of Eastern Massage. Shiatsu, acupressure, Yoga and Ayurvedic massage have strongly influenced Raynor Massage in understanding the importance of proper breathing throughout a massage treatment. Deep breathing is required in order for the client to get into a deep state of relaxation, to cleanse the body from accumulated toxins and to shift emotional stagnation. Another integral part of Raynor Massage adopted from Eastern philosophy is the concept of chi or life force that exists within the physical body. Physical tension, mental lethargy, emotional baggage or other imbalances can cause blockages of one’s chi or life energy. By freeing the body of physical tension through massage, one’s chi can flow freely throughout the body and subtle body and restore a person to their optimum health. There are several ways existing massage therapists can generate more clients through advertising, a professional looking website, and luxury products. While those might be options to consider, at Brandon Raynor’s School of Massage and Natural Therapies, we believe that the best way to generate and retain a good clientele is by providing a beneficial and effective massage through referrals and satisfied clients. Most people do not understand to what capacity they are experiencing muscle tightness and joint restrictions until they meet a therapist who is able to relieve them of it. Enrol now to enhance your existing massage skills today and take your massage practice to a whole new level.